As the healthcare field continues to evolve, so do the needs for jobs within that sector. The following list of 10 Best Master's Degrees in Health Services in 2019 provides the training and knowledge necessary for a fulfilling career. The Health Services world is rich in opportunity beyond physicians, therapists, and nurses as the demand for administrative leadership grows. Health Services degrees provide pathways for students seeking a multidisciplinary education by exposing students to the private, public, and non-profit health sectors. Many of the following degrees provide courses cover topics involving business, culture, diversity, statistics, ethics, and professional development. These programs also take great pride in the professional development of their graduate students by providing mentorships with practicing professionals. Most Health Services degrees require a local internship and prior professional experience within the health services industry. A few of the schools on this list allow students to pursue dual degree programs as well. The Bureau of Labor Statistics projects a twenty percent growth in jobs for health services managers over the next seven years, which is a much faster pace considering the average growth of other fields. 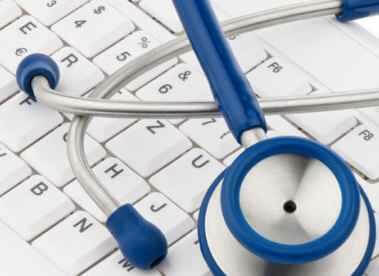 The availability of organizations and careers is vast within the healthcare services industry. Some of these jobs include outreach coordinator, department heads, health services administrator, and utilization manager. The median pay in 2017 for medical and health services managers is reported at $98,350. Healthcare Administration Degrees uses the best publicly available data from the National Center for Education Statistics, Payscale, and student review sites. Healthcare is a high-earning field with demanding education expectations. Because of that, Healthcare Administration Degrees focuses on the Mid-Career Pay of Graduates, Student Retention Rates, and the Average SAT Scores of accepted students, collectively amounting to 70 percent of a school's final score. Student Reviews and Affordability round out our metrics. As the average age of the nation rises, so do the opportunities within healthcare and health services. There's no better time to earn a degree from one of the 10 Best Master's Degrees in Health Services for 2019. Georgia Southern University offers a Master of Health Services Administration through its Armstrong Campus location in Savannah, GA. The MHSA program proudly displays its core values which include community engagement, diversity, continuous program improvement, and student-centered educational programming. The MHSA prides itself on, both, community and student improvement by requiring a capstone promoting engagement and action within the surrounding community. Upon completion, students find careers in consulting, health systems, insurance, and long-term care facilities. GSU carefully monitors its graduate programs with objectives, measurements, and benchmarks to transparently convey the success of the graduates and the program. The Sage Colleges offers a Master of Science in Health Services Administration program. The SMHSA degree prepares students to meet the needs of the expanding health services management world. Graduates of the program will find themselves ready for a career in both the administrative role, a clinical role, or a combination of both. The degree is flexible for students and offers online classes along with traditional in-class attendance. The Sage Colleges provides students to learn from professors who are also professionals working in the field outside of the classroom. The Master of Health Services Administration program at Xavier University prides itself on developing students to be both scholars and practitioners. The program blends class lectures with real-world experience. The MHSA is provided with full-time and part-time options. The most appealing aspect of the MHSA degree program is the guarantee that all students in the program obtain a paid administrative residency in their third year. Some of the courses include Managerial Concepts in Health Care Organizations, Applied Epidemiology in Health Care, and Professional Development. Career opportunities are abundant for graduates of the Master of Public Health in Health Services Policy and Management program from the University of South Carolina. The HSPM program is mission-driven in that it seeks to provide effective, efficient, and equitable health services by preparing its students with strong quantitative skills to enter the healthcare sector. Students are equipped with leadership skills and ready to assume leadership roles upon completion of this graduate program. The public health aspect of the program emphasizes the skills and knowledge for students to assist in directing population-based health improvements. Students also explore a blend of subjects that include physician practice management, quantitative methods for health administration, and environmental health. Indiana University of Pennsylvania's Master of Science in Health Services Administration program combines policy, health care administration, and employment relations. IUP's program is unique in that 18 of the 36-credit-hours are from the Department of Nursing and Allied Health Professions. Fifteen credits are from the Department of Employment and Labor Relations. The remaining three credits are fulfilled by either taking an elective from IUP courses or by completing a thesis. Students graduate with the knowledge and decision-making ability needed for a rewarding career in healthcare. Mercy College offers graduate students an exciting look at the growing field of healthcare management. In addition to the exposure to professional fields, students will also receive mentorship for career development and hear from experienced professionals during campus seminars. Students will find value in their curriculum by attending classes such as Health Care Financing, Managerial Communication/Leadership, and Legal Environment of Health Care Management. The program will enable students to develop training programs, facilitate system guidelines within regulatory standards, and strategically plan for improvement within the constantly changing environment of health care. The Master of Public Health with Health Services Administration at the University of Arizona is a hybrid learning experience fusing traditional classroom experience with online courses. In addition, UA provides MPHHSA students with an internship program to reinforce hands-on learning to strengthen community ties. Students will gain experience in both fiscal and administrative areas of healthcare. Classes cover topics such as environmental and occupational health, socio-cultural and behavioral aspects of public health, and public health policy and management. With two campuses, a myriad of topics, and multiple modes of engagement, variety is the name of the game for this top-10 program. Students looking for a personal touch and an accelerated pace will find it at the University of Oklahoma. Upon admission into the Master of Arts in Human and Health Services Administration program, students are assigned an advisor to help cater a program tailored to individual success. Some of the progressive degree topics include women and leadership, psychological aspects of disabilities, and cultures of organizations. Each graduate course is 16 weeks long. Students looking into this program must have prior work experience or training within the health services or medical fields to be considered. The University of Minnesota offers tremendous flexibility for those seeking to attain a Master of Science in Health Services Research, Policy, and Administration. Classes such as Ethics in Public Health: Research and Policy, Foundations of Public Health, and Fundamentals of Epidemiology can all be taken in person or online. The Master's degree in HSRPA also allows students to connect with their community while partnering with departments of public health using research and analysis to assist in shaping public health policy. Graduate students can look forward to fulfilling careers applying their data analytics and research to organizations such as Kaiser Permanente, Thompson Reuters, Optum Health, among other leaders in health services. The University of Michigan offers a Master of Health Services Administrative Program. Upon completion of this program, students are well prepared for a variety of careers in the field of healthcare. Students complete 60 core credits including electives in classes such as Health Policy, Biostatistics, Health Services Systems, and Healthcare Accounting. They will also work a 10-12 week internship during the summer between their first and second year.